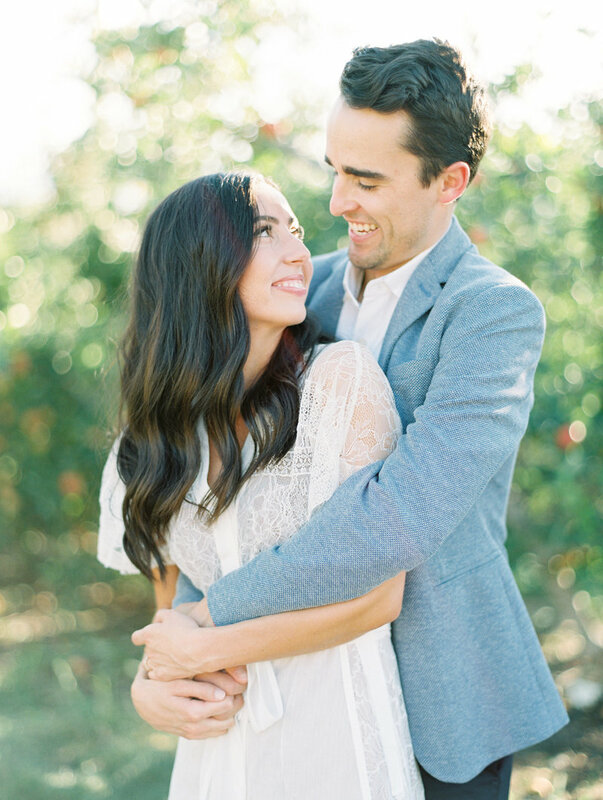 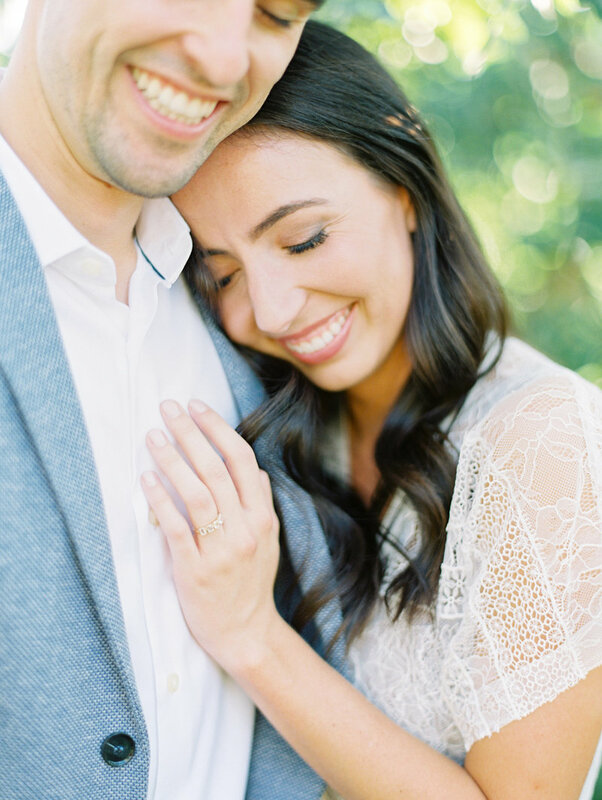 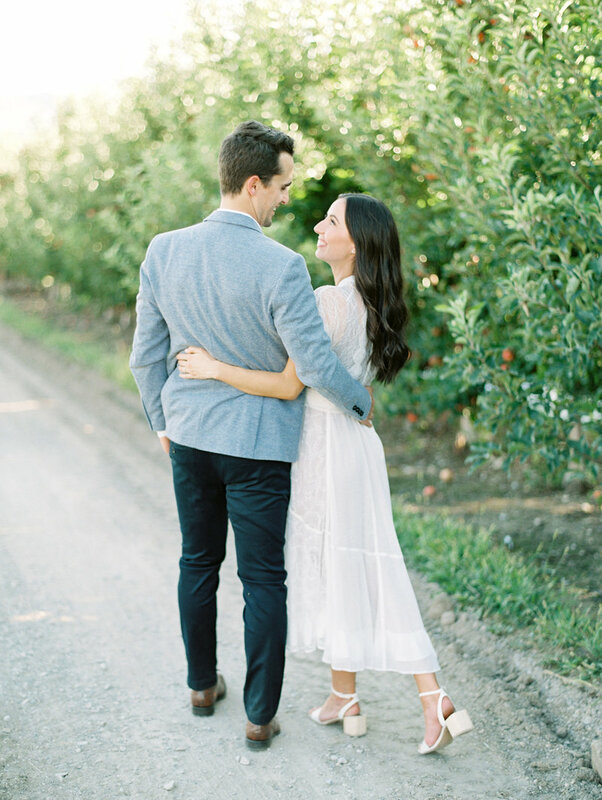 Whitney & Ryan's wedding took place in the Fall in Salt Lake City and they wanted their summer engagements to reflect that even though we were taking them in August, which is essentially the height of summer in Utah. 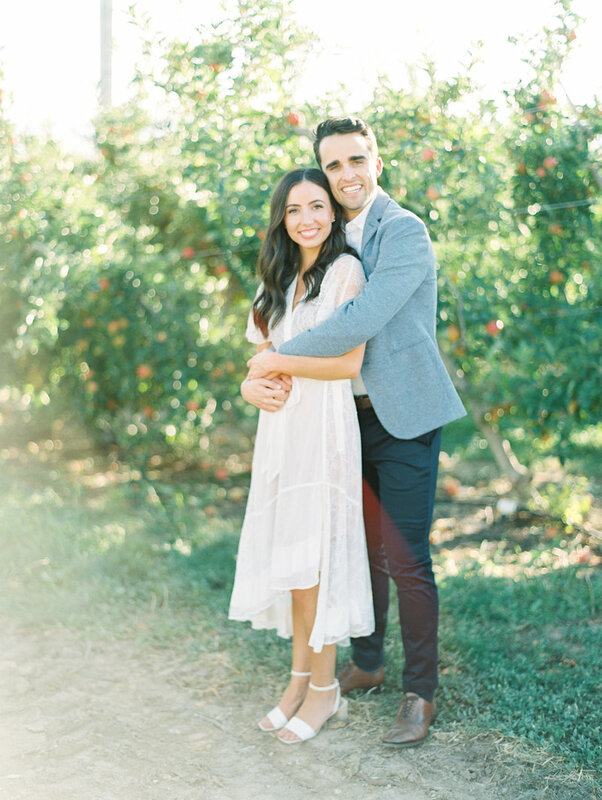 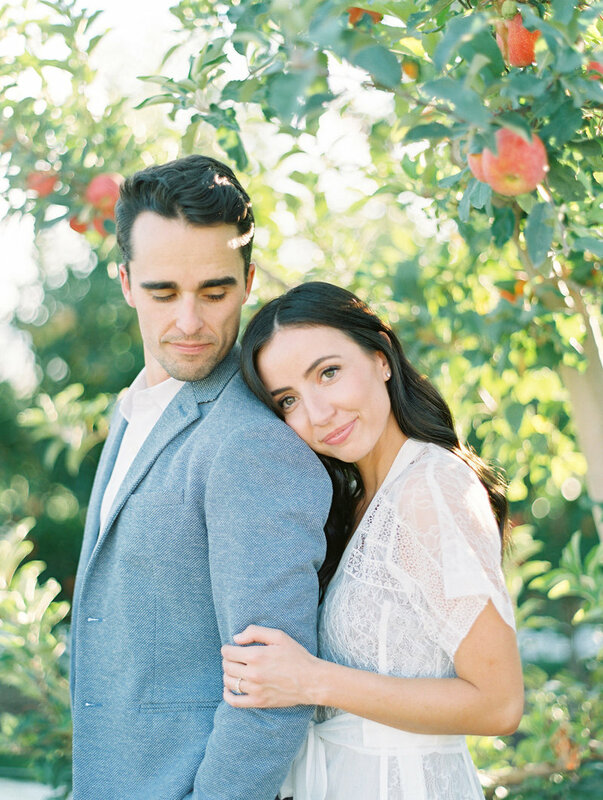 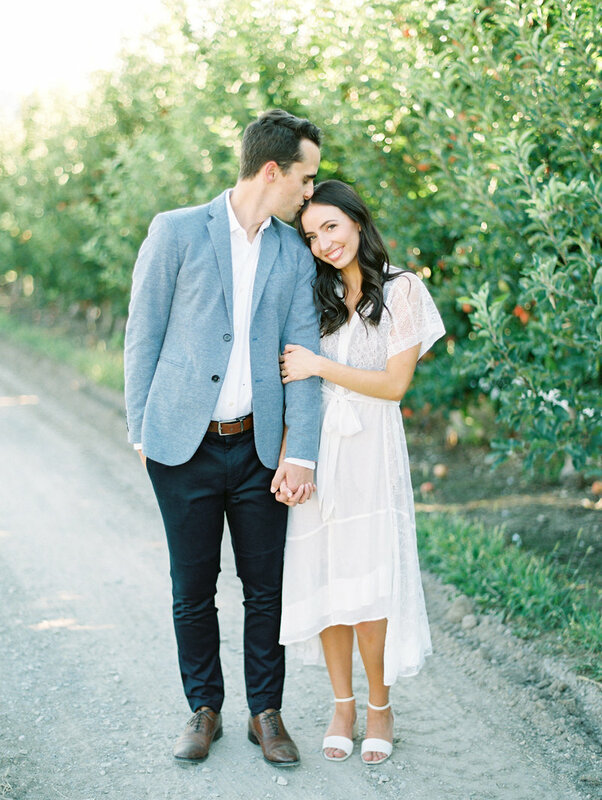 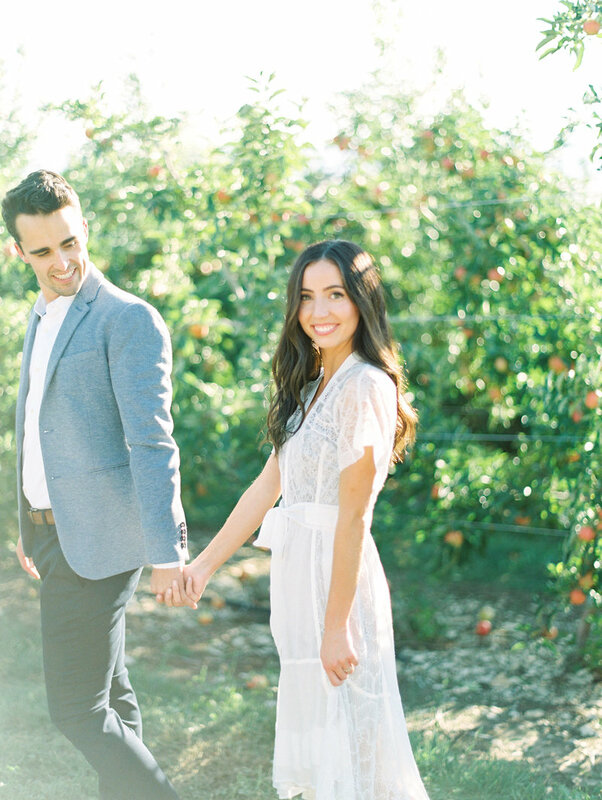 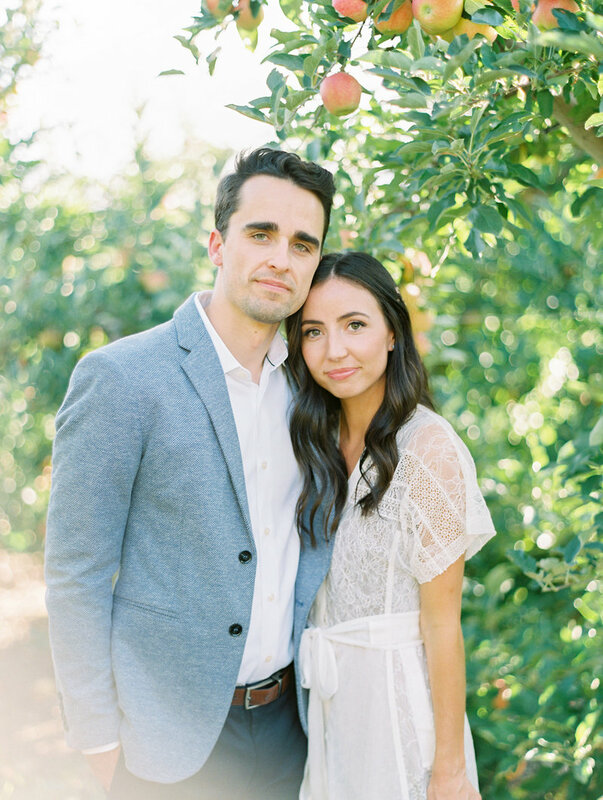 What is a more perfect location for a fall inspired engagement than an apple orchard. 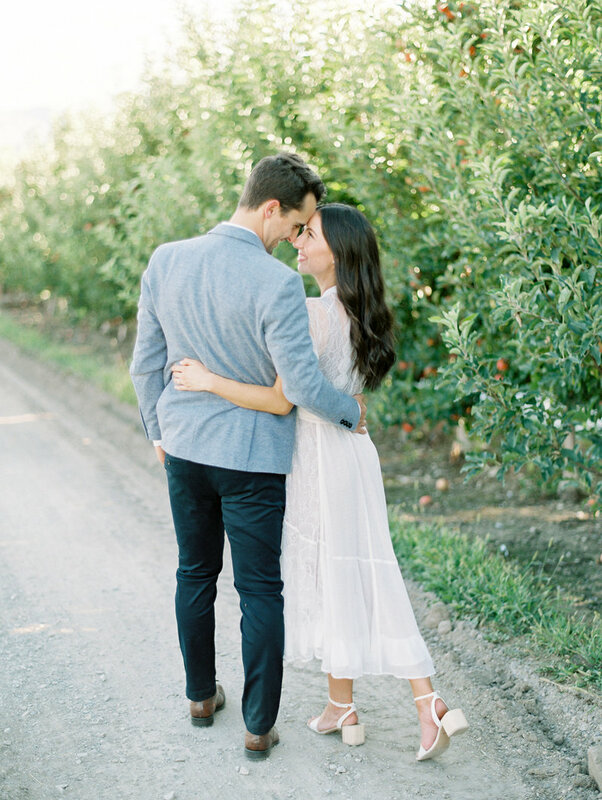 Fruit picking is a quintessential fall activity and the combination of summer light and fruit filled trees, we couldn't have dreamt of a better setting. 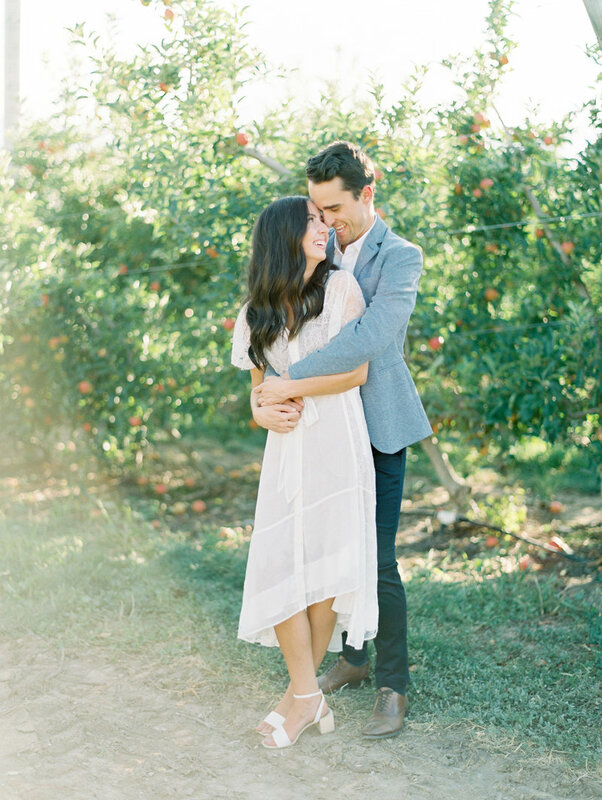 Whitney's adorable white Anthropologie dress was her ode to summer. 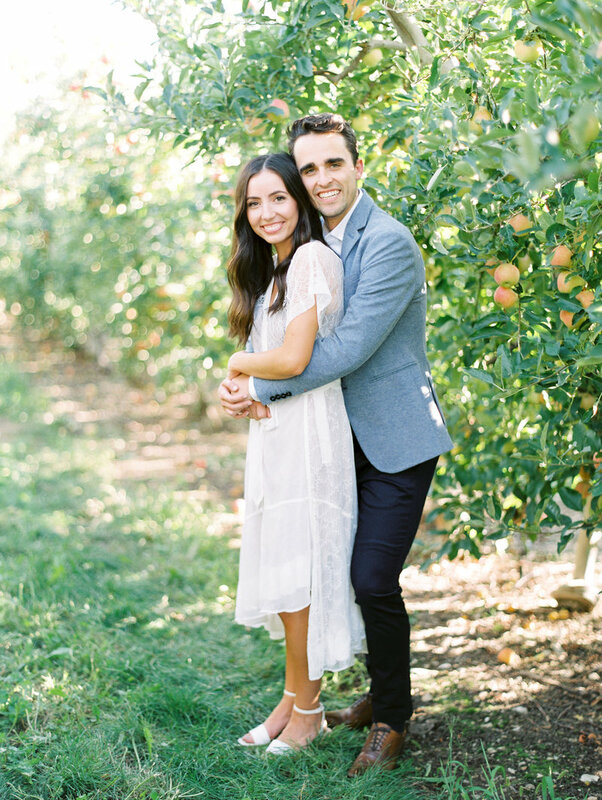 I love when a couple incorporates the seasons into their outfits and I have to say, I have the best dressed couples!